Orlando Florida Production Company looking for experienced Final Cut Pro Editor. Go To Team “Makes Cool TV” throughout the Country and is looking for highly creative and motivated Final Cut Pro HD Editor to lead our Orlando Florida Post Production Team. This is a Full Time Position. This is a Full time, salaried position that requires the appropriate candidate to work on site, Monday – Friday, in our edit suites on Universal Studio’s back lot. $40,000 base plus a percentage of the Hourly Billable Rate. This position previously paid around $60,000 a year. We are looking for someone who is currently living in the Orlando area as the position is open immediately. There is only one way to apply. 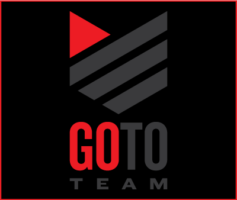 Email Reel and Resume to editor@gototeam.com. Applicants without a reel won’t be accepted. Reels and Resumes will be accepted on or before Jan. 15, 2011. Reels received after the January 15th Deadline will not be accepted or reviewed.